Incredible $59.95+ value! 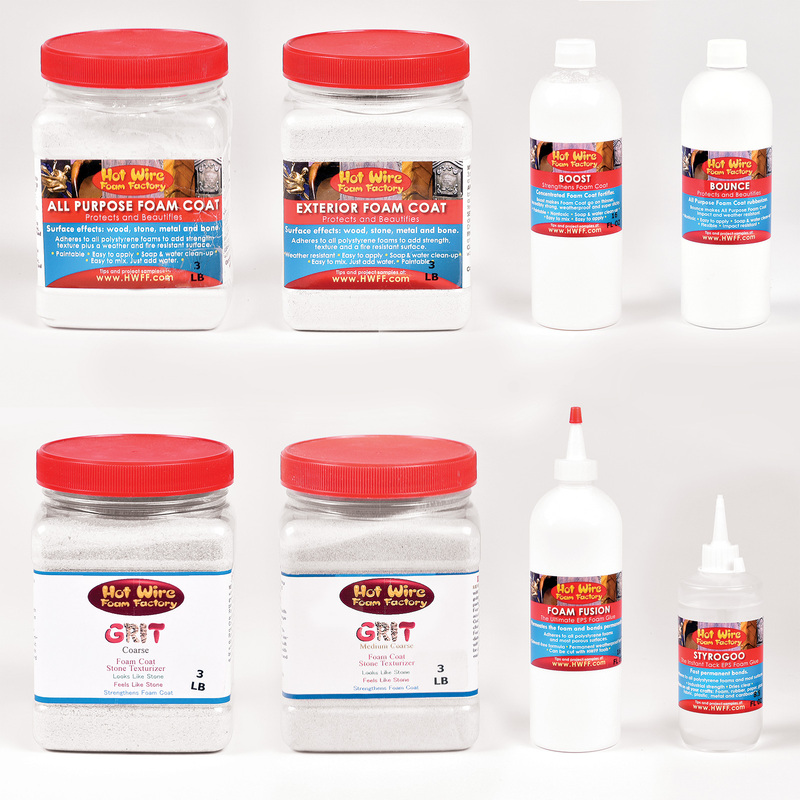 Kit includes 3lbs All Purpose Foam Coat, 3lbs Exterior Foam Coat, 8oz Boost fortifier, 8oz Bounce rubberizer, 8oz Medium Course Grit, 8oz Course Grit and 2 square feet of Mesh, topped off with 8oz Foam Fusion glue and 4oz StyroGoo. Also includes 30 minute Foam Coat System Basics DVD with step-by-step instructions. Start with the ultrasmooth, rockhard Foam Coat and add Boost to make it even stronger and weatherproof, or add Bounce to make a flexible, weatherproof coating. Try texturizing with medium or coarse Grit. For even more strength, apply a layer of our super light Mesh fiber reinforcement around your foam project and Foam Coat right over it. Oh, and don't forget to try your StryoGoo (#87640) and Foam Fusion, the very best foam glue!